Ok, after a "girly" lapse ;-), back to testosterone. Mr Testosterone !! Mr James Newel Osterberg Jr. I've always wanted to pay a humble tribute to the man here. The opportunity makes the thief. A bad knee sprain is sticking me home, so let's make the most of my grounding. I won't have the cheek to give a quick warts and all report of Mr Pop's career. This would sound misplaced and abusive. Everyone knows Iggy. For his downs, wounds, bleedings and rock bottoms as well as for his ups, healings and resurrections. Even if I'm not much in his last "Post Pop Depression" album in which he rather turned himself into a sepulchral crooner (this voice !! ), the man has never sold out and always done justice to himself in his countless projects. One of them, and probably one of my earliest rock recollection, is taking me back in 1977. I was a little boy then. That day, as we religiously did at the time, we all attended the one o'clock big news event.Unaware of the rough and wild music which was raging outside at the time, the final guest of this september 22nd edition was a guy unknown to me so far, Mr Iggy Pop. He was hosted by a quite popular presenter of the time who, I would learn later, was nothing but stranger to "nightclubbing" and was quite in tune with his time. (Check this out here ! :-o !! - glad to have known this era !). So, for his first time on French TV and on his way to his show at "Le Pavillon de Paris" the day after, Iggy made a "high" staggering arrival on the set. Wearing a clown-lipstick smile, he soon got stripped to the waist, strutting around, asking in a luscious French "isn't that beautiful ?" :-o He also gave some entertaining anecdotes on his friendship with David Bowie and made a quite long speech on the art of wearing Japanese geta shoes !! At a peak viewing hour on a national TV channel, I was mesmerized. My mom went "who's that nut ?" 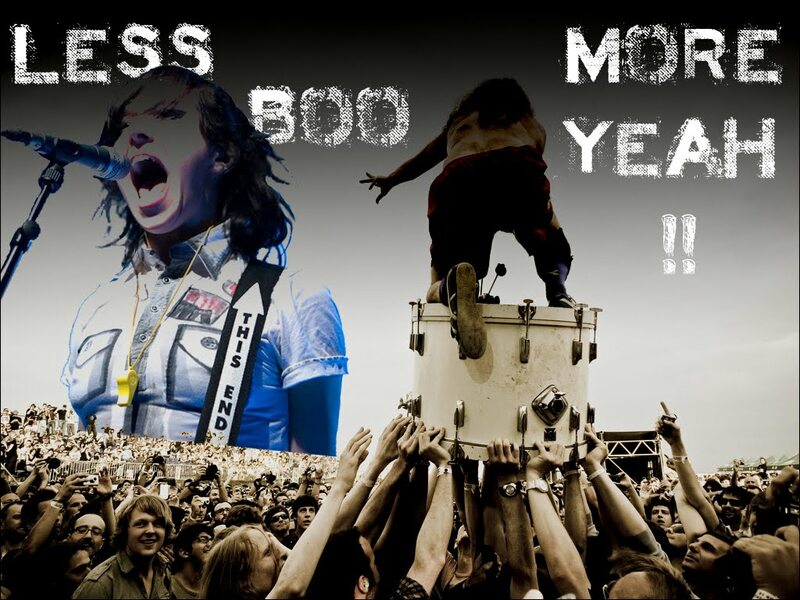 :-) Times were changing. This surreal moment is here !! Oddly enough, watching again the footage, I realized it perfectly echoes the "Chocolate Drop" introduction Iggy made during his recent gig in Paris for "La Musicale" show, mainly on the first dvd. The time he had just spent in studio at the mythical Herouville castle-studio (where, among others, Grateful Dead, Pink Floyd, David Bowie, Elton John recorded some of their albums) back in 77 must mean a lot to him to make him talk about it again in his moving message to David Bowie forty years later. I've seen the godfather of punk quite a few times since and every time, the other high-profile young competitors who played the same venue got trashed. I've always been amazed by this tense mix of primal animality and human generosity. Humanality ? And again here, whether it is in Paris or in Landgraaf, this overwhelming crave for feeling, touching the people, for swimming, drowning into them can be felt. " La Musicale" crowdsurfing almost ended up in a strip-tease performance and Pinkop's "invade the stage" calling on "Real Cool Time" and "No Fun" is just the incarnation of the security men's worst nightmare. Ahaa, the man, held back by the foot over the stage by one of them !! Some of the audience even ended up in their birthday suit !! Of course, for the fans of Queens Of The Stone Age (whose last two albums haven't turned me on either !) the "La Musicale" gig has a particular flavour as half of the band, including Josh Homme, is playing that night. Iggy seems to love this special series of "nightclubbing" shows as it was his third there after the 1999 and 2009 editions in which he sometimes performed some unusual duos ! On a side technical note, I got caught off-guard by the changing of year and labelled this concert as a 2016 one whereas I realized, while designing the front cover, it was actually held in 2017. Sorry for that, everything had been uploaded in the meantime (and it takes ages with my bandwidth ! ), I didn't redo the whole thing. I also added a quite interesting meeting I recorded at the time (2007), with the historic Stooges's line-up. I was quite surprised not finding it back on the net. 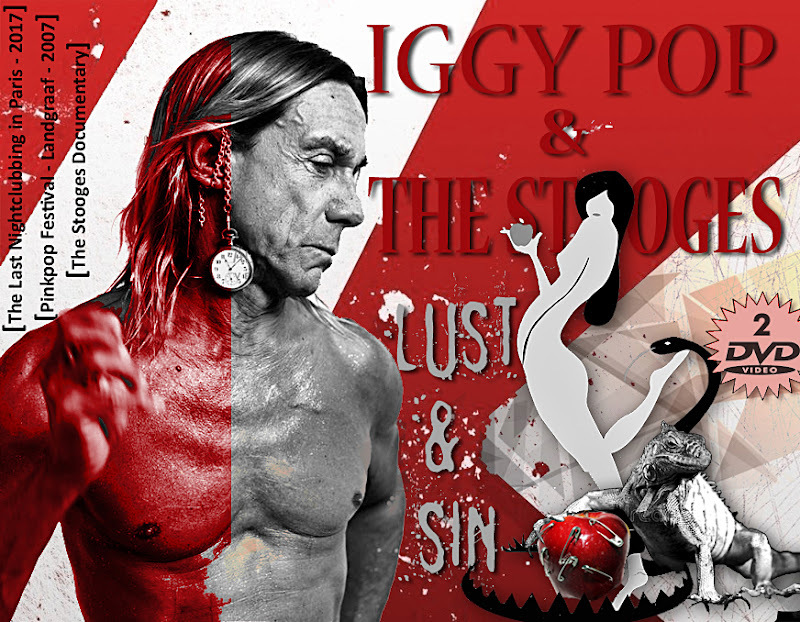 The interview was made by the famous French mag "Les Inrockuptibles" for Iggy's 60th birthday and for The Stooges' back to business reunion. It contains some nice bits about their first meeting, their ahead out-of-synch sound to the times, their logo and record company, Iggy's Osgood-Schlattler dancing style, life on tour, writing songs, etc ... interspersed with other vintage and live records. Well, here's the programme. Enjoy !